This time, we have an obscure hidden gem from the Nintendo 3DS eShop. The service is often criticized for its pricing and such, and this is one of its most expensive offerings of all, but it’s one you’ll want to take a look at. So chew on this for a coincidence: that’s exactly what we’re doing today. 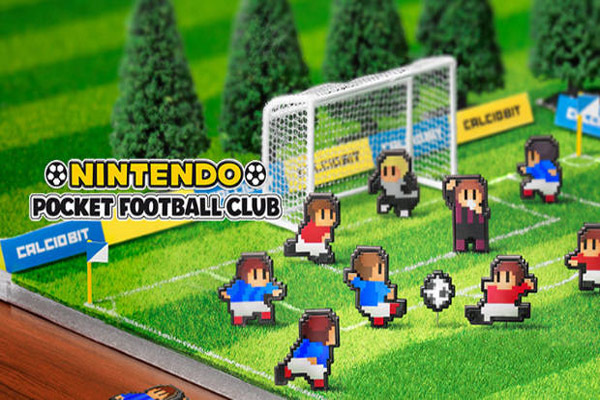 Feast your eyes, ears and… everything elses on Nintendo Pocket Football Club. Football management sims, as we know, are a fairly nerdly genre. What with their pie charts and stat-pages-amundo, they aren’t the most accessible of games. Nevertheless, if there’s one thing Nintendo do well, it’s making such things all cutesy and welcoming. They worked their magic on turn-based strategy games with the much ballyhooed Advance Wars, and they’ve done just the same here. In a toontastic little introduction, your 3DS Mii becomes the manager of a football club. You select your team’s name, design a horribly garish home and away kit (a spangly little purple and pink striped number was my choice), and begin training up your no-hopers to be league winners. In the adorable wee hub area, there are some screens to be fiddled with. Here, you’ll change your squad composition, scout for players, bolster the abilities of existing ones and arrange matches. It sounds like standard Football Manager fare, but everything is wonderfully streamlined and welcoming. Matches themselves even more so. On the pitch, as you’d expect, everything runs on automatic. Some light bottom-screen fiddling is in order, to make substitutions or other quick changes where necessary, but it’s all very simple. Touchscreen controls work wonders in this regard; it’s really intuitive to perform on-the-fly changes with a casual stylus poke. This same spirit is carried over into the development of your players. This is done via training cards, which you receive during games. You build your squad members in various stats, and change their specific abilities and strengths in this way. 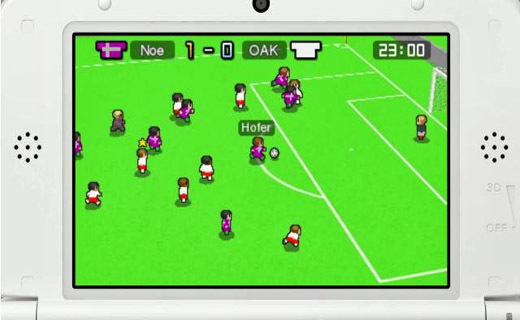 In short, Nintendo Pocket Football Club boasts just enough of the virtues that so enthral genre fans, while presenting it in such a way that won’t overwhelm newcomers. It’s quite an achievement in this sense.